The search for quality which is found in the two lines d’ excellence. 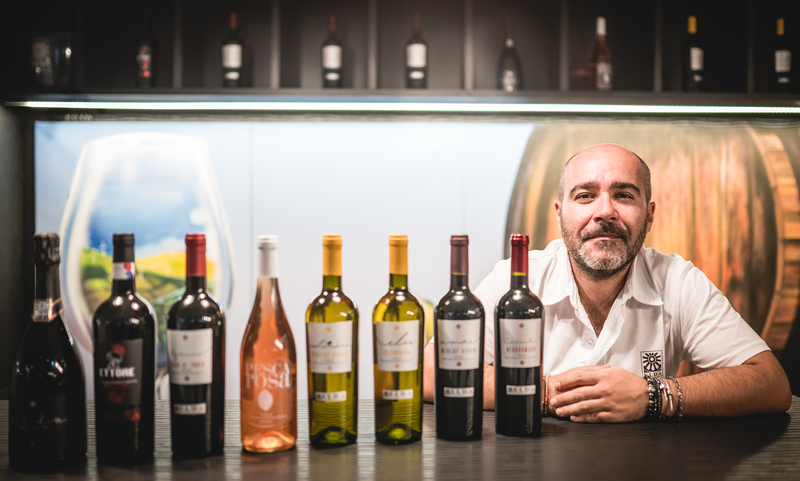 The idea to follow this unexpected vocation for winemaking, soon brought Marcello Salvatori to purchase some fertile land, create state-of-the-art production plants and gather together a dynamic and motivated team driven by young oenologists. This commitment was rewarded by the rapid market confirmation of the quality of the wine, in particular the wines made using local grape varieties: Primo and Ettore. The main production line, called Terra di Trioa – is made exclusively with grapes from native vines – in just a few years it will be joined by the Elda Line, which will offer wines created using the finest Italian grapes. The imperative to aim for a production of the highest quality is categorical. This will come from selecting antique, native vines for cloning and growing in organic soil, whilst still reserving a special attention to methods which ensure the highest respect for the environment. In fact, since the beginning the production foresees the use of renewable energy from solar panels, the adoption of thermal treatments in place of substances which contain allergens or chemical stabilisers. This choice has been made in order to reduce the environmental impact, such as the 100% recyclable corks made from sugar cane. Discover all our wines for sale.